What about the stories from “Shades in Shadow”? Good question! They’re technically eligible, since it came out in July of 2015. But IMO, they’re not standalone stories; they depend on prior knowledge of the Inheritance Trilogy to make sense. Basically they’re fanfic I wrote of my own stuff. :) So I suppose you could nominate them, but I think there are much better short stories and collections out there that deserve your attention. Is there a book discussion guide available for this book? Looking forward to reading it today! The Fifth Season was one of the top books I read that came out in 2015. I’ve been recommending it to friends, and am looking forward to the next book in the series. Thank you so much for writing this world. Yes! Finally someone writes about geoengineering. N.K. 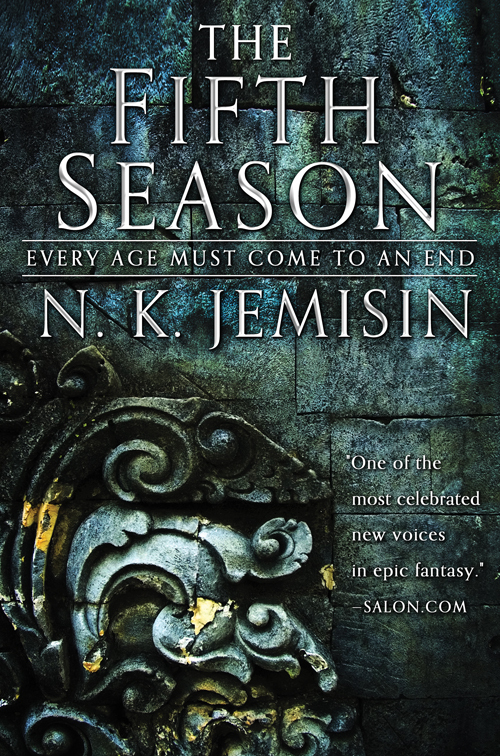 The Fifth Season was my favorite book to have read in a long long time. It totally drew me in – I was so sad when it ended. August 2016 seems so far away but I’ll wait patiently (as possible) and happy to see a third is in the works as well.